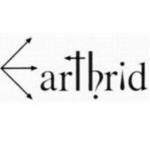 Earthrid releases unusual electronic music, without pursuing any genre. It was established in 2001 to promote the work of selected artists and therefore has an infrequent release schedule. It is not a traditional record label and is not part of the “record industry”. We increasingly offer free MP3 downloads in addition to high-quality, low-cost CDs for those who, like us, still like that format.